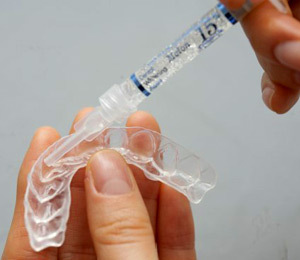 Teeth Whitening systems can include at-home kits, dental office visits, or a combination of both with some approaches, often reinforced by the usage of at-home “trays”. 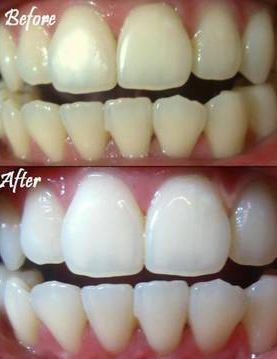 Using teeth whitening or “bleaching” agents requires the consistent application of gel, which contains usually between 3%-20% peroxide, carbamide, or hydrogen peroxides. On the other hand, at home whitening systems can contain anywhere from 15% to as much as 43% peroxide. Typically, application is between 30-60 minutes, 1-2 times per day depending on tolerance. Thanks to major retailer sites, resellers, and other outlets via the internet getting your hands on whitening gels, kits, and other supplies at varying levels of peroxide or hydrogen peroxides as their main chemical agent has become much easier and affordable. The application and usage of most teeth-whitening gels or bleaching agents are as simple as applying the gel to your teeth, using pre-made tooth-molds, or a combination of both. In the case of office dentist visits for teeth-whitening, a customized mold for your teeth and additional gel can also be used, applied, and brought home for continued application. Side effects strongly depend on the current condition of your teeth, not to exclude present cavities, can include sensitivity and pain of the teeth, bleaching of the gums, and can cause discomfort to some stinging, burning, and other painful sensations dependent upon teeth sensitivity. It’s highly recommended to first seek a dentist’s advice before starting an at-home whitening system to discover any underlying issues. While whitening your teeth can boost self-esteem, make you look younger, and improve your smile or appearance, it also comes with its share of cons or downfalls. On the downside, whitening your teeth whether at home or at the dentist office can cause negative side-effects as mentioned above, but also an increased responsibility of maintenance. For those that have not or will not take their dental hygiene seriously it is not recommended to use teeth-whitening products. That is, because additional maintenance and avoidance of teas, coffees, cigarettes and other staining compounds are necessary, post-whitening. If you’re considering investing in a tooth-whitening system, there are three variables to consider. Price, effectivity, and reputation of product should all strongly be considered. It is worth pointing out that at-home kits and chemical-agents are naturally much cheaper or affordable in comparison to dental-office teeth whitening systems. For example, an office visit to the dentist for teeth whitening can cost as much as $100-$200 per visit, and require multiple visits adding up to $500-$1000 or more. On the contrary, most at-home teeth whitening systems and agents can be as cheap as $70 or less – and that’s for top of the line, premium products. While Crest Whitening Strips are among the most popular consume choice, they can be especially strong and have unruly amounts of peroxide that cause burning, pain, discomfort, or make it otherwise impossible to keep the plastic, self-adhesive whitening “trays” in place. Most recently, at home whitening kits such as Shine Whitening and Opalescence have become more and more popular, with many of these “off-brand” products containing 35% or less of hydrogen peroxide- – the main ingredient for dictating the amount of whitening as well as how long applications will take to become effective over time. For anyone serious about whitening and looking to save a few dollars, these “off-brands” in particular have received very positive feedback, and are 1/10th the price in comparison to major-leading brands such as Crest Whitening products.